I recently facilitated a five – day strategy session using the MBSAT-SOPA Suite with one of Oracle’s European subsidiaries. It was one of my most rewarding recent professional experiences as it is a new industry for me that is in rapid and often disruptive transformation. 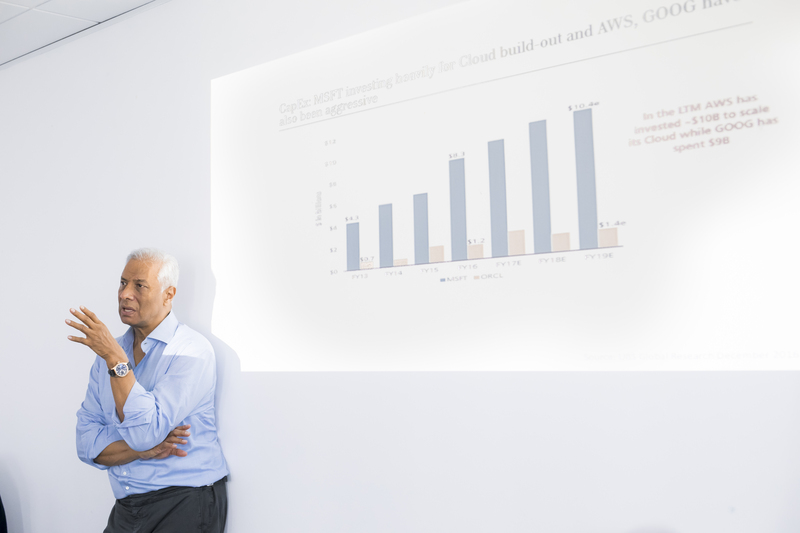 As most companies move to Cloud computing (some faster than others), Oracle — one of the largest technological companies in the world — has developed some of the newest and most advanced generations of B2B Cloud computing solutions. 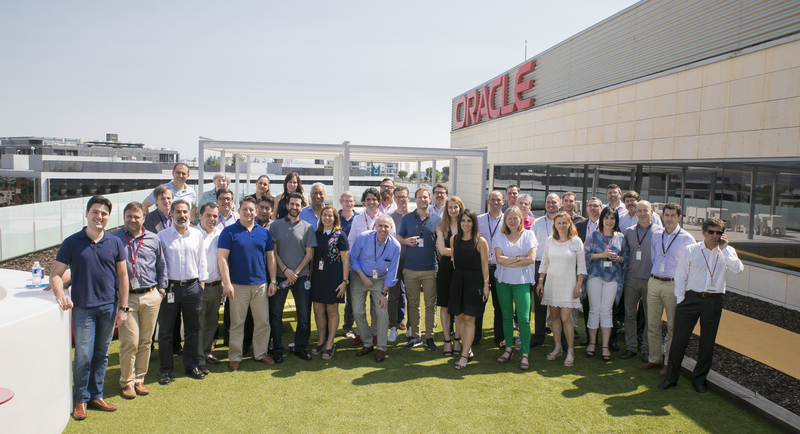 Having consolidated a Positive Mindful Working Environment, the team moved to the next stage of the mission: defining new value creation initiatives for both Oracle and its client. This is often a crucial, yet tricky pursuit as the objective is to find synergetic value in situations that are not necessarily compatible. For example, an initiative might create value for Oracle (more revenues), but at the same time reduce value on the client’s side (higher operating or capital costs). This is where the SOPA methodology proves its effectiveness in building constructive solutions. Strategic decision-making is by definition controversial as it implies making choices and weighing trade-offs. Given that no firm in the world has unlimited resources to fulfill all their aspirations, organizations can’t simply do everything they would like to do— they need strategies to weigh their best options. Organizations, and for that matter, individuals, who are making decisions are thus constrained to make choices that means giving up something to do another. It is here that Strategic Awareness (SA)— the capacity to make wise choices and clear-sighted decisions— becomes a crucial and important necessary condition to improve strategic decision-making. SOPA’s staged approach of moving collective awareness and attention progressively through three specific phases supported the Oracle team’s Strategic Awareness (SA), thus increasing the probability of discovering viable solutions for both Oracle and its client/partner. In the first stage of the SOPA process, the team identified its own and the firm’s strengths reflected in Oracle’s advanced products, services and processes that could be leveraged into focused solutions that create value for its client. In the second stage, the team defined options about how to leverage the previously recognized strengths. And finally with the third stage of SOPA, the team developed concrete outcomes in the form of a three-year positive strategic action plan with a detailed and compelling narrative and numerical goals that – for the pleasant surprise of the Oracle’s client account VP – were beyond expectations. Most strategic processes are permeated with anxiety, a condition that is in many ways normal given that strategic work deals with the future and therefore reflects uncertainty. MBSAT works first by instilling positivity and equanimity in each member of the strategic group, as well as a realistic sense of possibility as necessary conditions to produce high quality inputs for the strategic process. SOPA focuses on the very processes of strategy formulation and implementation. Its methodology allows small and large groups to work together efficiently in a collaborative process to design their own winning strategies and successful game plan implementation. This is very different of the generalized strategic approaches seen in many enterprises where strategy formulation is conducted at the very senior level. As one CEO of a medium-sized Swiss private bank told me: “People at lower levels don’t know how to do strategic work; we at the top know, and besides how would I otherwise justify my compensation, which is in the millions, if I wasn’t in charge of the strategy?” A recent survey by J. W. Rivkin of HBS measured and compared the effectiveness of collaborative (multilevel group work) versus unilateral (top down) strategy approaches. Rivkin and his co-researchers looked at five attributes that are associated with good strategic decision-making. 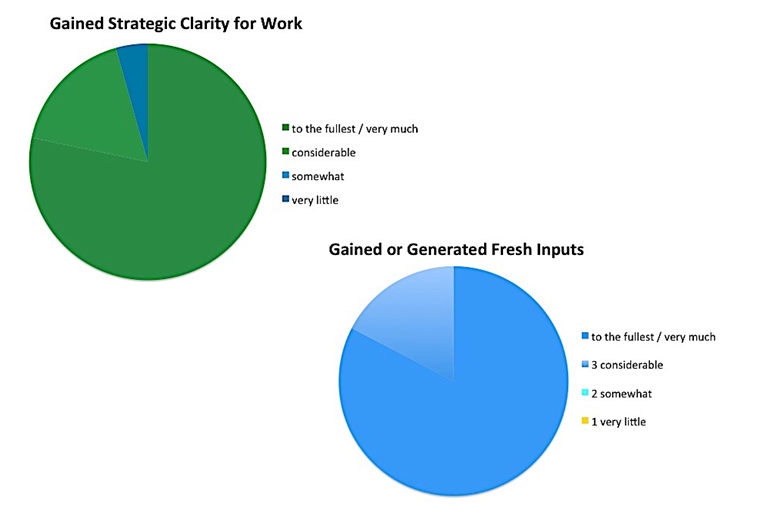 The results revealed that out of a maximum score of 100% for successful strategic initiatives: a) a collaborative approach scored 70% compared to the unilateral approach (43%) when generating strategic alternatives, b) for information sharing the collaborative approach reached 76%, while unilateral obtained 51%, c) for implementation efforts collaborating ranked 32% and unilateral, 20%, d) for strategic learning the collaborative approach ranked 55%, unilateral 31%; and finally e) for communication collaborative processes ranked 50% vs. 25% of unilateral strategy formulation. In the case of Oracle, the positive results reflected in the following figures of a satisfaction survey conducted after the work process using the MBSAT – SOPA collaborative approach to strategy formulation and implementation corroborate Rivkin’s findings above. Given this evidence, it could be the time for some organizations to look at their strategic formulation processes and explore alternative ways such as the MBSAT-SOPA collaborative suite amongst others. Perhaps, with the use of more collaborative approaches for strategic work, the success rate of strategic initiatives can increase from its currently dismal 20% rate, a figure that is way too low given the enormity of annual resources invested in strategy formulation and implementation processes. SOPA: Strengths, Options and Positive Actions, A strategy formulation and implementation methodology developed by J.H. Young.